The exhibition, Lone Star, opens this month in Webster University’s Cecille R. Hunt Gallery, with works by Alejandra Amuelle, Christina Coleman, Tim Kerr, Laura Klopfemstein and Win Wallace. 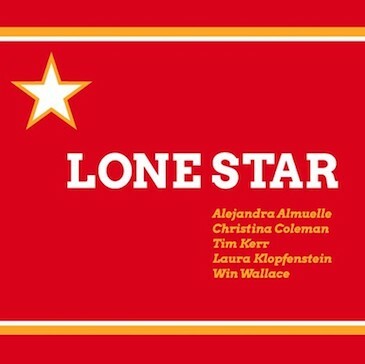 Lone Star is a group exhibition of artists who are living and working in Austin Texas. Over the past several years there have been shifts and challenges due to growth, sky rocketing rents and housing prices. Many artists are being financially evicted from spaces they could once afford before rapid city development and over gentrification of the area. Landlords began to realize it was not beneficial to rent to artists but to cater to the younger affluent generation. Even with this occurring, Austin’s contemporary art scene is thriving. The city is still filled with artists committed to regenerating the contemporary art scene. There are a multitude of galleries and artists strengthening the scene, new artists and collectives as well as staples of the Austin art scene who have been around for over a decade. The art and music scene have a strong connection and are very supportive of one another, creating a strong community. This exhibition focuses on the works of artists committed to the true art scene in Austin that makes it a cultural destination. The opening reception will be Friday, Nov. 10, from 6-8 p.m. The exhibition runs until Dec. 15. All Hunt Gallery events are free and open to the public. Opening reception Nov. 10, from 6-8 p.m.